Brian J. Winnie (B.S. ’04) has been named as the Director of Choral Activities at Southwestern College in Winfield, KS. He received his Doctor of Musical Arts in Choral Conducting degree in February, 2014 from the University of Washington where he studied with Geoffrey Boers. 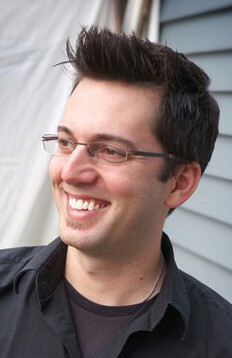 Prior to his appointment at Southwestern, Brian served as lecturer at the University of Washington-Tacoma. He was also the Artistic Director of ChoralSounds and VocalSounds Northwest, community choirs located in Burien, Washington. Prior to his move to Washington, he served as choral director at Hopewell Valley Central High School in Pennington, New Jersey where he was named “Teacher of the Year” in 2010. Brian taught choral music at Lower Macungie Middle School in Macungie, Pennsylvania for four years after his graduation from Penn State. He received his master’s degree in music education from the University of Illinois Urbana-Champaign in 2008. Brian is a former member of the Princeton Singers (New Jersey), and served as tenor soloist and section leader at Central Moravian Church in Bethlehem, Pennsylvania. He is also an active guest conductor and clinician, and has conducted county and regional choral festivals in Pennsylvania, Missouri, Washington, and Alaska. Brian was the 2008 recipient of the “Outstanding Young Conductor Award,” presented by the Pennsylvania chapter of the American Choral Directors Association. He holds membership in the National Association for Music Education and the American Choral Directors Association. He most recently served as Secretary of the Central New Jersey Music Education Association.